Your tax deductible gift to OCofOC helps us to provide orchestral and chamber music performances, engagement in the community, and so much more. If you would like to set up a gift of stock or a planned gift, please contact us directly at info@ocofoc.org or (714) 758-5247. We thank you for your support of the Orchestra Collective of Orange County! The Orchestra Collective of Orange County invites you to adopt a musician for the 2018-2019 concert season. An adoption contribution will support the orchestra and honor the musician of your choice. Your name will appear in the concert program and on the website. By joining the Adopt-a-Musician program you will help the orchestra continue to thrive in the community. For musician adoptions and additional information, contact us at info@ocofoc.org. Have a business you’d like to promote at Orchestra Collective of Orange County concerts? If so, visit our page on Program Book Advertising to collaborate with OCofOC and get your business in front of our audience. Volunteers can participate at concerts as ushers, for the box office, at the bake sale stand, and for other tasks as needed. We could also use help in a variety of administrative and behind the scenes positions. Please fill out the following form to connect with us on volunteering with OCofOC. Were you referred to OCofOC or encouraged to volunteer with us? If so, let us know what musician or association connected you. 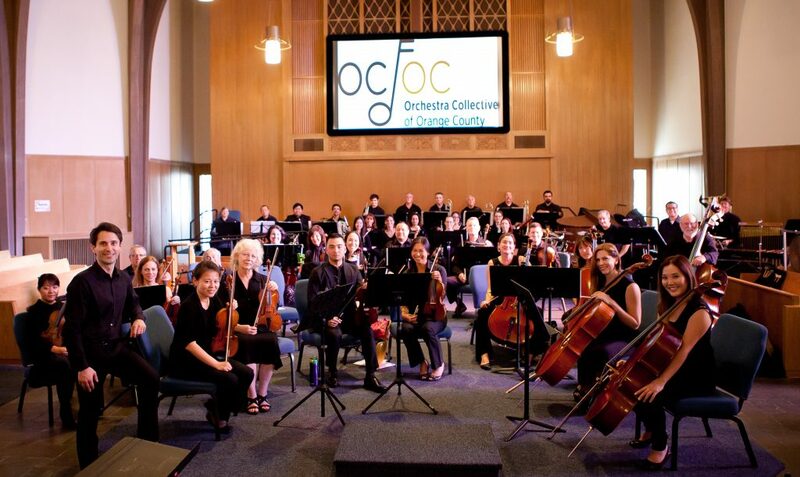 The Orchestra Collective of Orange County is always seeking donations of food, equipment, music, business services both for our musicians and our audience, gift certificates, etc. We can provide you with a tax donation receipt as well as list any significant gift in kind donations on our website and concert programs. While donations made directly to OCofOC make the biggest impact, there are commerce websites that will donate a small amount of any purchase to a charitable organization of your choosing. AmazonSmile is a shopping portal that allows users to automatically direct 0.5 percent from the purchase price of any eligible item towards a charity of their choosing. Using the new feature is fairly straightforward, but instead of visiting Amazon’s regular home page, you’ll need to navigate to smile.amazon.com. From there, you can choose the “Orchestra Collective or Orange County” as your charity organization. The actual Amazon shopping experience should be identical to what you’re used to. Donations will be made on your behalf by the AmazonSmile Foundation, and there’s no cap on the total amount that you can contribute. We will be adding additional ways to support us soon! If you have any questions or would like to discuss support opportunities, please email us at info@ocofoc.org or give us a call at (714) 758-5247.